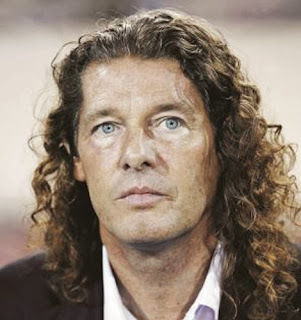 Google+ PLANET FOOT 7: Bruno Metsu dies at the age of 59 because of cancer. Bruno Metsu dies at the age of 59 because of cancer. Bruno Metsu, the Frenchman who coached Senegal in a remarkable run to the 2002 World Cup quarterfinals, has died. He was 59. Lille, for whom Metsu played from 1979-81 and coached in 1992-93, did not give a cause of death, but media reports said he died early Tuesday following a fight with cancer. 1988 Metsus first managerial role was with Beauvais. He coached also the likes of Lille and Valenciennes before moving into international management. 2002 After a spell with Guinea, Metsu was named Senegal manager and led the country to the final of the 2002 African Cup of Nations, where they lost to Cameroon on penalties. June 2002 Senegal pulled off the shock of the World Cup in Japan and South Korea, beating champions France 1-0 in the opener. Metsu led Senegal to the quarter-finals, where they lost to Turkey on a golden goal. 2003 His success with Senegal led to an offer from Al Ain and his time in the Garden City was one of the clubs most successful periods. Metsu brought Al Ain back-to-back league titles and led them to victory in the 2003 Asian Champions League, the first edition of the rebranded tournament. 2006 After coaching in Qatar and Saudi Arabia, Metsu was appointed UAE national coach. A year later, at a packed Zayed Sports City, the team won the Gulf Cup for the first time thanks to Ismail Matars goal. Metsu resigned in September 2008 after successive home defeats left the UAE out of the running for qualification for the 2010 World Cup. July 2012 Metsu returned to UAE football after four years in Qatar, replacing Diego Maradona as Al Wasl manager. However, three months into the job, he resigned after being diagnosed with cancer.